Two parents in Harare have approached the High Court to cancel the scheduled resitting of the November 2017 Ordinary Level English Language Paper 2 public examination. In their urgent chamber application, Messrs Victor Mukomeka and Chingasiyeni Govhati argue that Primary and Secondary Education Minister Professor Paul Mavima breached constitutional provisions by annulling the results when only the Zimbabwe Schools Examinations Council could do so. They want the resit conducted variably or to be cancelled altogether — a matter the court will likely determine early this week. Prof Mavima and Zimsec will have to respond. Government last week ordered over 260 000 candidates to resit the examination after widespread cheating had been detected. The resit is scheduled for this Friday. English Language is among compulsory Ordinary Level subjects in Zimbabwe. Messrs Mukomeka and Govhati are represented by Zimbabwe Lawyers for Human Rights in collaboration with Justice for Children’s Trust. Their application reads, in part: “(The examination) be declared null and void as the minister acted beyond his authority of which the Act empowers, in Section 34, only the examinations board to annul examination results. “The minister confirms that the cheating was identified during the examination session. It is not clear why the English Paper 2 examination was allowed to continue, and why Zimsec proceeded to mark the exams, only to annul results on the 8th of February 2018, some months later. “It is not clear why remedial action was not taken timeously and instantly upon realising the cheating or even the potential for cheating. 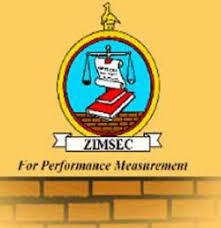 Essentially, Zimsec allowed an exam in which they detected cheating to proceed and proceeded to mark it, only to annul results afterwards. Prof Mavima could not be reached to comment on the lawsuit yesterday. He had, however, told The Sunday Mail earlier that public examination cheats would soon be jailed and face a five-year ban from sitting national aptitude tests. “We are not going back on what we have decided; people should give us time to implement what have decided. We are working on the entire system to ensure we restore integrity to the education system and deal with the entire value chain of the examination system. “We will uproot all rot. Strict measures are required. So, we are saying no fine, but jail terms for those found guilty. I assure you the ministry and Zimsec are re-looking the system — from exam setting to distribution of exam material — as we are determined to find the culprits and remove them from our system. Zimsec spokesperson Ms Nicolette Dhlamini added: “We are working together with the ministry to make sure these criminals are brought to book. Right now, structures are being put in place to ensure we uproot all the culprits. As of now, some have been taken to court. “Although we have not yet compiled statistics, there was widespread cheating and some pupils were informed that their results had been cancelled. We are not going to allow those who were notified of results cancellation to sit for examinations in the next two to five years. Progressive Teachers’ Union of Zimbabwe president Dr Takavafira Zhou was livid. “It is certainly ill-conceived and inappropriate. Instead, they could have simply used a normal distribution curve to give marks for the paper rather than waste resources on a subject that will have minimal effect on candidates’ results. “When we told Zimsec and the ministry that there were exam leakages, they said it was localised. If re-writing was done well in 2017, it would have been more appropriate. However, ordering them to re-write three months down the line is ill-conceived and punishes many innocent students.